If you want to give your customers a small note to thank them for their order, this stamp is the perfect solution. 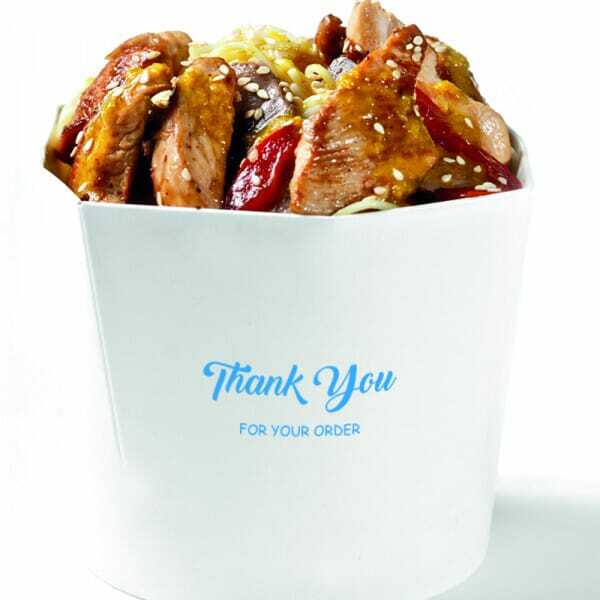 Simply stamp the 'thank you for your order' message onto the takeaway bags, containers or receipt, adding a little thoughtful gesture to the order. This stamp is self-inking, which means that no separate stamp pad is required as the ink cartridge is already built in. The ink will last for thousands of clear imprints. Once it does run out, replacement ink cartridges are available so that your stamp will last even longer. You can choose between 5 different ink pad colours (black, red, green, violet and blue). This stamp is a self-inking stamp so no separate stamp pad is required which allows a fast, one-step stamping experience, perfect for stamping large quantities at once. Customer evaluation for "Takeaway Packaging Stamp - Thank You For Your Order"